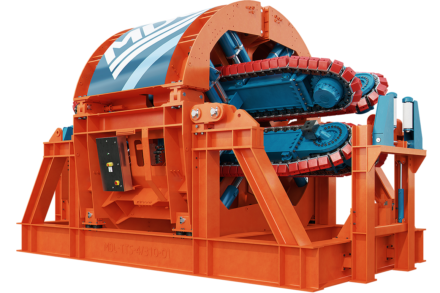 Versatile, portable and compact - Maritime Developments' tensioner range holds the key to safe and efficient flex-lay operations, on land and at sea. 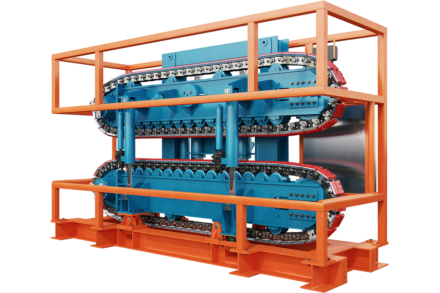 All of the 2 and 4 track systems have been designed with highest safety in mind: that of the operator and of the product, providing peace of mind when the unexpected occurs. 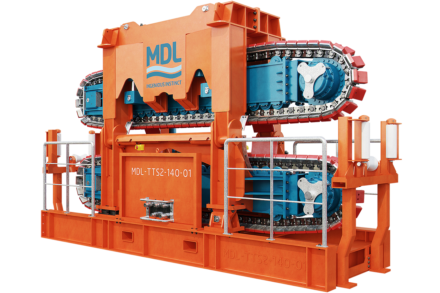 That is coupled with unparalleled opening for product abandonment and recovery, thanks to pivoting tracks controlled by intuitive systems developed by MDL software engineers in-house. 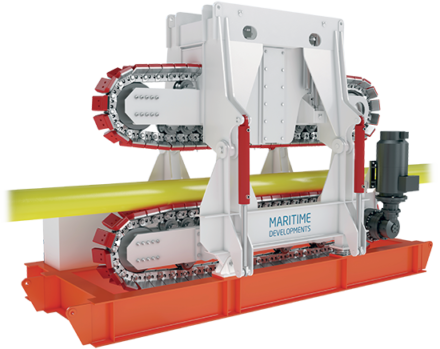 Particularly the unique 4 track range has no equals: the patented MDL TTS-4/140 design allows for two tracks to open in vertical mode, as well as for operations in vertical, horizontal or inclined mode, depending on specific project requirements. 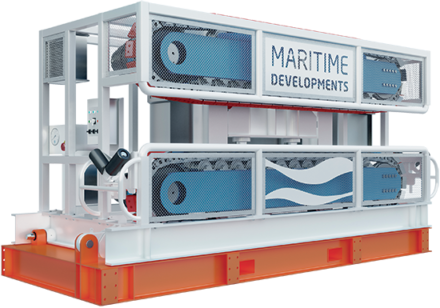 And thanks to their portable design, all of the MDL systems can move easily between vessels, quay and road. 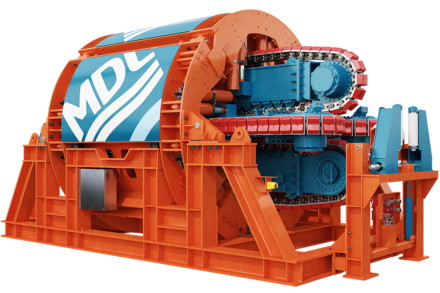 In other words - a single solution for numerous applications. 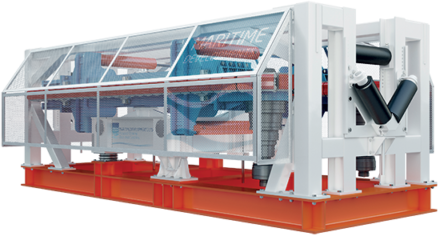 As well as tensioners, Maritime Developments delivers the full turnkey package of back-deck handling equipment including reel drive systems, overboarding chutes, spoolers, level winders, compensators and control systems. 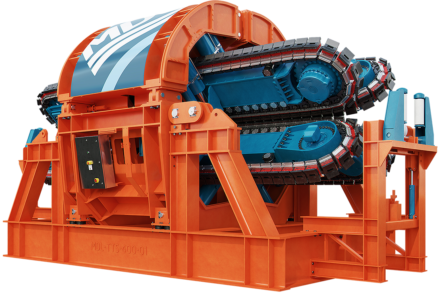 Our range of pipelay tensioners is designed and manufactured to comply with PUWER / LOLER requirements and can be CE marked. 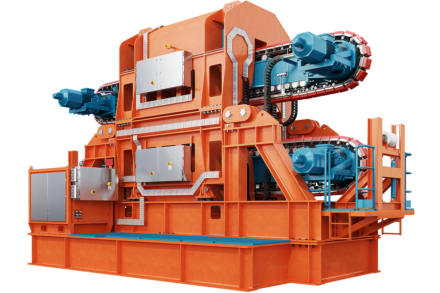 The tensioner control system is designed for safe product handling with data logging as a standard feature. 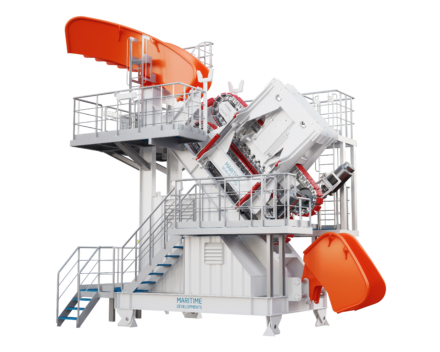 This ensures instant access to critical product lay information with the option to record the data which can be accessed during or post operation.